OK!Just found you sight this evening.It was a great movie.When it snows on Christmas I think of that movie.It was done really good.It makes me miss the good old days at Christmas when I was growing up.We always had snow back then.Now we have sun or rain most of the time.Every thing is so screwed up in this day and age. Really? No comments? This is SUCH a Christmas classic! I remember showing the kids at work this movie followed by Christmas Vacation so they would understand where Chevy Chase's rant about, "The hap., hap. 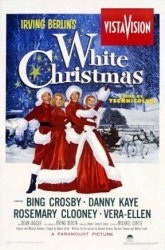 ,happiest Christmas since Bing Crosby tapdanced with Danny, $#@!, Kaye," came from.